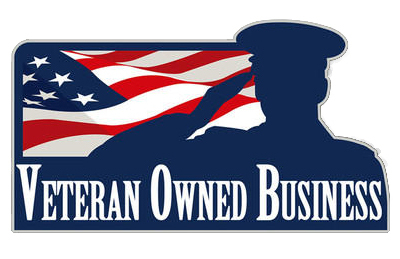 Are you seeking a veteran owned small business or service disabled veteran owned small business in Maryland? If so, visit the U.S. Department of Veterans Affairs Office of Small and Disadvantaged Business Utilization Vendor Information Pages for a listing. Effective October 1, 2015, each Maryland state agency must structure its procurement procedures to try to achieve an overall minimum of 1% of its total dollar value of procurement contracts to be made up directly or indirectly from veteran-owned small businesses. See The Board of Public Works for more information. To qualify, veteran-owned businesses must be verified by the Center for Validation and Evaluation of the United States Department of Veterans Affairs. For more information on verification visit vetbiz. Once your business is verified by Center for Validation and Evaluation, you should register your business on eMaryland Marketplace, the State of Maryland’s internet-based procurement system. Registration is free and is available at eMaryland Marketplace. The eMarylandMarketplace help line is 410-767-1492. Once your business is registered on eMaryland Marketplace, you will have access to all State, county and municipal procurement notices. Within eMaryland Marketplace, you can monitor procurement notices that include veteran-owned small business goals. Those notices will include information on the date/time/location of the prebid conference. It is a good idea to attend prebid conferences to network with prime contractors who may be looking for qualified veteran businesses to include in their bids. The Governor’s Office of Small, Minority, and Women Business Affairs– The Governor’s Office of Small, Minority, and Women Business Affairs connects small, minority- and women-owned businesses to State contracting and procurement opportunities through the Minority Business Enterprise and Small Business Reserve programs. Visit their site and quick links listing for more information on procurement and training opportunities. Ready, Set, GROW! Workshop Series- The Governor’s Office of Small, Minority, and Women Business Affairs is helping small, minority and women business owners compete for State contracting opportunities with a new life workshop series entitled Ready, Set, GROW!. The two hour workshop will include information about certification in the State’ Minority Business Enterprise Program, vendor enrollment in the Small Business Reserve Program, and where to find procurement opportunities within the 70 participating agencies and tips on how to navigate the procurement process. Watch a video on the series here. State small business reserve program – Your business may also qualify for certification as a State small business enabling your business to participate in the small business reserve. Under the small business reserve, designated State agencies are required to spend at least 10 percent of their procurement dollars with State-certified small businesses. See The Board of Public Works for more information. Note: State business size standards differ from federal thresholds. You may apply for small business certification on eMaryland Marketplace. State small business preference program – There is another category of State small certification that qualifies businesses for a percentage price preference up to 5% for small businesses, 7% for veteran-owned small businesses and 8% for service-disabled veteran-owned small businesses. See The Department of General Services for more information. Note: There is a Maryland residency requirement for veterans seeking certification as a veteran-owned small business or service-disabled veteran-owned small business. Veteran small business owners whose state of residence is other than Maryland may participate in a preference procurement only as a small business, not as a veteran-owned or a disabled-veteran-owned small business. Minority Business Enterprise Program Certification Workshop– The Maryland Department of Transportation’s Office of Minority Business Enterprise conducts a free monthly workshop for firms interested in applying for certification as a Minority Business Enterprise, Disadvantaged Business Enterprise, Airport Concession Disadvantaged Business Enterprise and/or Small Business Enterprise. Learn more here. The National Center for Veteran Institute for Procurement (VIP)- This program trains veteran service-disabled and veteran-owned small businesses to succeed in the federal contracting market. VIP provides comprehensive training to owners, principals, and c-level executives of veteran-owned businesses nationwide over a 27-hour, 3-day period, residential program at no cost to veterans. The program takes place at the Bolger Center in Potomac Maryland. Enrollment is open for VIP START (designed for companies wanting to enter the federal market and become procurement-ready) and VIP GROW (designed for veteran owned businesses who are already in the federal space to increase their ability to win government contracts). Visit The National Center for Veteran Institute for Procurement for more information and to apply to an upcoming session.